I stumbled upon this lovely little gift shop today called Curiosa, in Toronto Queen West district, which sold all kinds of trinkets from games to books to cards to Harry Potter merchandise. Of course it’s happening inside your head, Harry, but why on earth should that mean it’s not real? 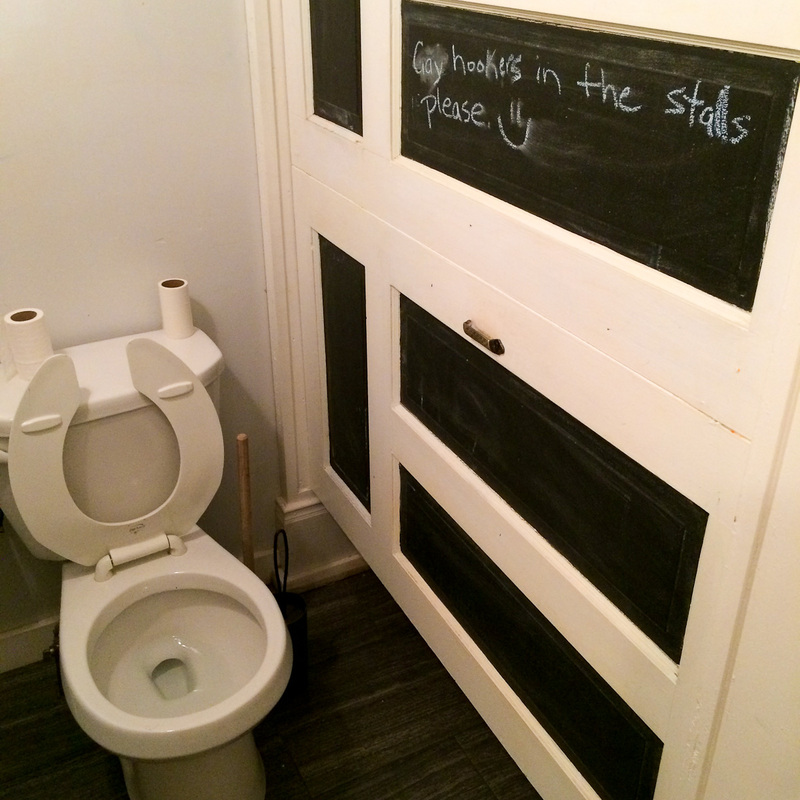 Love a good restroom chalkboard. Some of my favourite words of wisdom here at Lisa Marie include: “If you don’t sin, Jesus died for nothing”, “Pay attention to where you PEE!”, “Toronto: the city of badass food, bars, people & bike thieves” and “Never stay with someone who makes you feel like you’re hard to love”. Oh, such feels! Now anyone wanna gonna go sin with me? 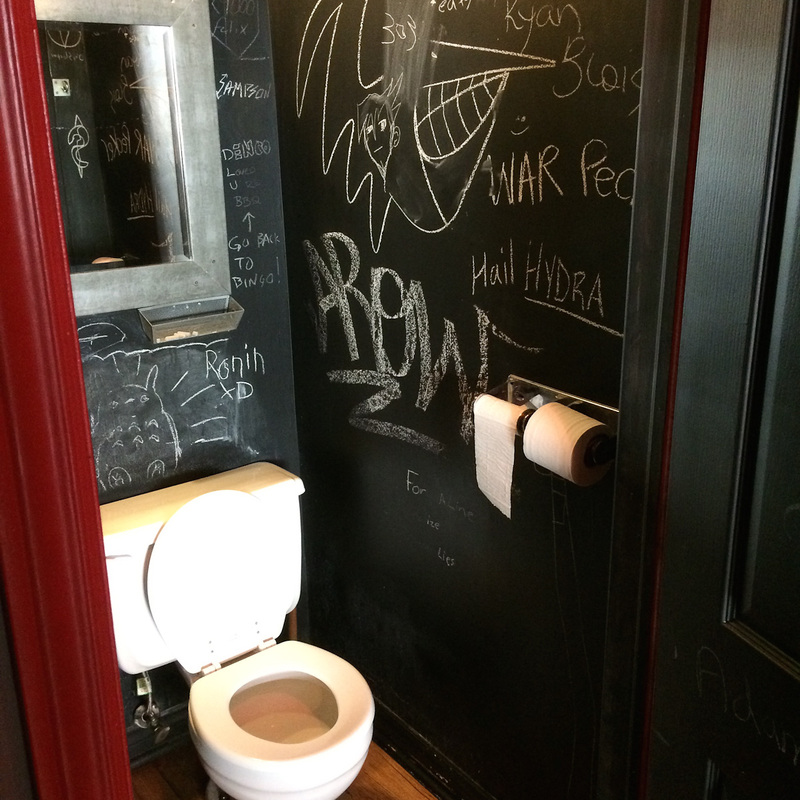 I’m disappointed 😔 I Deal Coffee had one of the most impressively graffitied washrooms in all of Toronto (refer to my visit in October 2014) but they’ve since painted over it. It has next to no character any more, aside from this social commentary & a couple of hilarious wiseguys who opted not to use the newly-provided chalkboard. 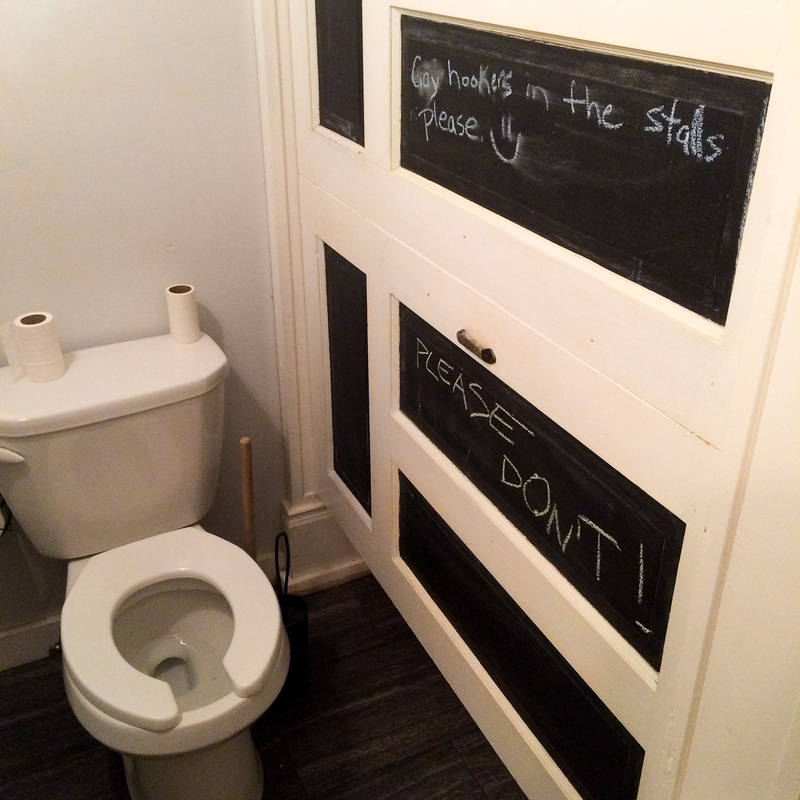 I hereby decree all remaining Kensington Market landlords & business owners to take up the #NOBLANDTOILETS movement!! My weekend in Halifax began with the chalkboard walls of Boneheads BBQ.